Captain Gatti became Master of the RRS Discovery, operated by the National Oceanography Centre (NOC), in 2005 following a 13-year career with the British Antarctic Survey (BAS) where he worked in some of the most hazardous waters on the planet. Serving as Navigating Officer, Chief Officer and ultimately, Master, Captain Gatti relished the ever-present challenges faced when operating in such a dynamic and hostile environment. 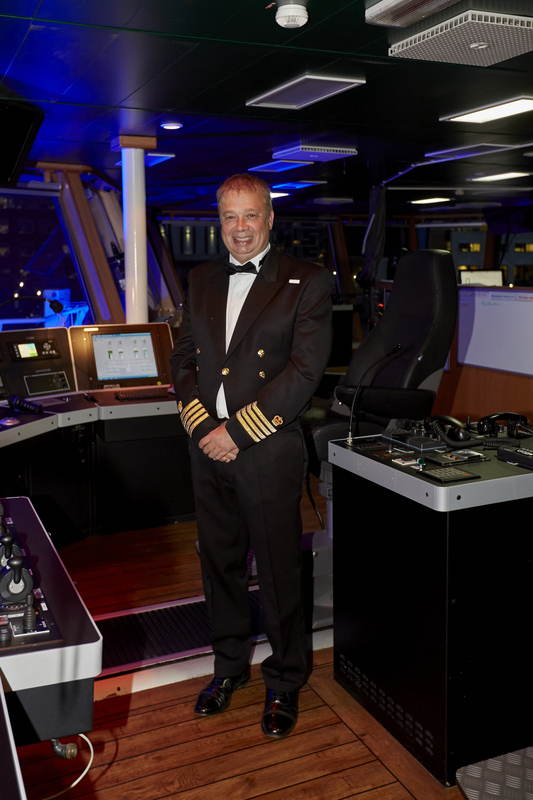 In October 2018 Captain Gatti will celebrate 14 years as Master of the RRS Discovery. During this time he has supported some of the world’s most cutting-edge oceanographic research undertaken by the UK scientific community. His inspirational leadership and unswerving commitment to professional standards has enabled successful expeditions, lasting 30-50 days at a time, from tropical oceans to the edge of the ice sheets. Leigh Storey, Associate Director for the NOC’s National Marine Facilities, commented, “It takes a unique individual to be a Master of a Royal Research Ship, someone who is not only committed to ensuring the highest of professional standards are achieved in order to support research, but also one who is able to engender a culture amongst the crew that is unendingly responsive to changes in scientific priorities. Captain Gatti has these qualities in abundance. The RRS Discovery, captained by both Antonio Gatti and Jo Cox (the first female captain of a Royal Research Ship), is an ambassador for the UK’s marine science community. The most advanced research vessel in the UK fleet, it delivers innovative marine research and facilitates international opportunities for knowledge transfer, collaboration and diplomacy. The RRS Discovery’s next expedition will support NERC's ‘E-Tech’ project. You can follow the upcoming programme of expeditions through the NOC website. For more information about the Merchant Navy Medal visit their website.